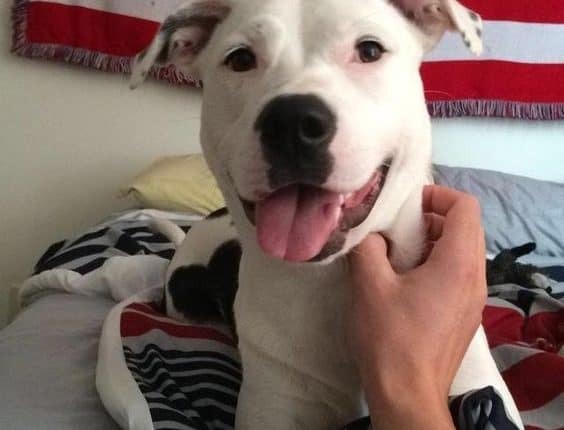 The Pitbull Border Collie Mix, also known as Collie Pit or Border Pit is a hybrid breed with Pit Bull as one Parent and Border Collie as another. Both the parents are highly-active and intelligent breeds who are extremely loyal to their owner. Are you thinking of getting a new doggy friend? Do you want an intelligent, energetic and affectionate dog? 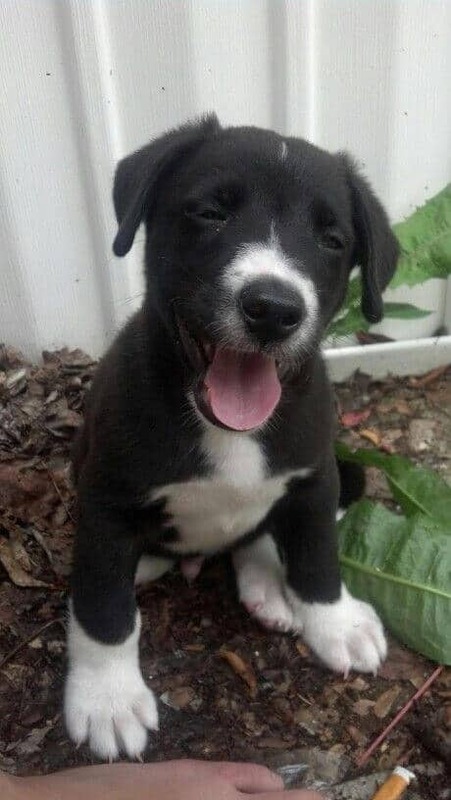 Then, I think the Pitbull Border Collie Mix is just the right fit for you. Now, I am sure as I mentioned Pit Bull, most of you would shy away from even considering this breed. However, just put a break on your thoughts and hear this. Pit Bulls are often blacklisted as the most aggressive and violent dogs. But that’s just so wrong! They are industrious dogs trained to be agile, alert and energetic. A Pitbull Border Collie Mix is a hybrid dog with a cross between the highly-alert and intelligent dog Border Collie and often known as the mischievous (although very affectionate) breed Pit Bull. This doggy is the best of both worlds. Getting this hybrid breed means you’ll get a doggy that looks more like a Border Collie with semi-erect ears and a lean, muscular body. These doggies are highly intellectual and will keep you on your toes at all times. In this article, I’ll give you a quick roundup of Pit Collie’s looks, personality traits, health concerns, grooming needs and their suitability for your home. Let’s get started with some beginner items. Bringing a dog home is a full-time commitment. You’ll need to give them your love, care, attention just like small babies. It is a good idea to know beforehand how much care this hybrid dog will need once you bring them home. Now let’s dive into the mix! Pitbull Border Collie Mix Looks: How will it look like? Dogs come in a variety of shapes and sizes. And I love them all! Now for some people, the looks of the dog really matter. I mean, a lot! So, let’s see what you’ll get with a Pit Collie or a Border Pit as many like to call it. A Pitbull Border Collie is more likely to take after its Border Collie Parent. In general, you can expect a pup who has the body of their Pit Bull parent with spots that resemble the Border Collie dog. Most pups are bi-colored with white and black coloration. If lucky, you can even find one with brown colored spots (they’re rare). Border Pitt have semi-erect ears and they can be lean with a stockier build. You can expect their hair to be anywhere between short to medium. That makes them a low-maintenance dogs, to say the least. The parents of this mix breed dog are highly active, adorable, loyal and responsive dogs. So, you can expect these common traits in this doggy as well. Let me give you a quick heads up on what to expect with this pup. Collie Pit breed is a very bright, responsive and highly-energetic dog that will keep you on your toes all day. This trait is common for both its parents who own an energetic trait in their personality. You can expect this dog to be highly protective of their owner and loyal to its core. Pit Bulls are known for their aggressive nature and combined with a Border Collie protectiveness trait, they can tend to bark more when sensing a threat. However, the small downside can be removed with proper training as soon as they are brought home. Pit Bull is known for keeping their owners active and engaged in mental activities. When combined with the super intelligence of Border Collie, be prepared to be surprised every time your companion outsmarts you with his wits. Both Pit Bull and Border Collie are very responsive and friendly dogs. Contrary to the popular belief, Collie Pit will make a wonderful addition to your home and become playmates with your kids while becoming a useful watchdog as well. No matter which parent dominates the trait in this hybrid dog, the size will hardly differ. Since, both the parents are almost of the same height and size, the difference would be hardly noticeable. Because this breed takes more after their Pit Bull parent in physical traits, you can expect a Pitbull Border Collie to grow up to 50-62 pounds and reach about 30 to 35 inches in height. Pitbull Border Collie Mix Food Requirements: What to Feed Him? Pitbull Border Collie is very fond of chewing. If they are sitting idle for a longer period of time, they’ll start chewing anything they see in front of their eyes. So, make sure you add bones in their diet to take care of their chewing fetish. Because it is a very focused breed, food is rarely their first priority. Pitbull Border Collie Mix Shedding: Will I need to buy a vacuum cleaner? Dog’s hair shedding is a real problem and only dog owners can understand the pain. Imagine hair in every possible nook and corner of your home. Yep! That’s what it is. hese dogs have a short to moderate length coat and it doesn’t shed much. If the mix breed dog takes after their Pit Bull parent, expect a medium length, dense, and harsh coat. And, if they inherit the coat from Border Collie, you’ll have a pup with a short length coat. Either way, expect moderate shedding when the season is on. If you’re someone who can’t tolerate even some hair in your home, invest in a good quality animal hair vacuum cleaner and leave all worries to relax with your pet. Pitbull Border Collie Mix Health Concerns: Should I be wary of any potential diseases? Any dog whether purebred or hybrid is prone to health concerns. However, Pitbull Border Collies are relatively healthier breeds with no known potential health concerns. However, they can be prone to allergies over time. So, make sure to get them tested regularly. This will reduce the chances of any health ailments getting out of hand and keep your pup healthy and secure. Pitbull Border Collie Mix Exercise Requirements: How Much Walking Does a Border Pit Need? Pitbull Border Collie is a very active, alert and energetic dog who loves their walk time. A lengthy leisure walk twice a day will keep your doggy happy and relaxed. You can even teach him fun dog tricks and he’ll easily learn them thanks to the intelligent brain of the furry lad. Apart from that, keep them engrossed with puzzle-games for some mental stimulation. Your intelligent buddy will love to show-off his smart wits to impress you. How Long Can I Expect Pitbull Border Collie Mix to Live? Dogs are lovable creatures who soon capture our hearts and become a loved family member just like our kids or spouse. I, personally love my dog to bits. So I know it is a difficult thing to talk about. But this is a reality we can’t escape. On that note, you can expect your Pitbull Border Collie to live for 12-14 years. Always remember, you can improve the quality of your four-legged friend’s life with proper care and love. And he’ll be there to play and walk around with you leaving behind lots of fun-filled memories to fill the gap. Yes, folks now, this is all there is to know about the sensitive, active and lovable Pitbull Border Collie Mix dogs. As a personal suggestion, I’d ask you to adopt a dog rather than buy one. Now, that is all you need to know about these intelligent and lovable dogs. Have you decided to adopt this friendly pet as your family member? Or do you already have one? Share your experience and concerns with us below. We have one of these, and he is exactly as described. Unfortunately the Collie side of him liked to round stones up, and then he liked chewing them………………….resulting in him having to have a few teeth removed. Super Super dog. Very protective of children……. I think Iggy is a Pitbull Border Collie mix. I have a Border Pit and she is my heart. She is my service dog in training and I love her to death. She can be michevious and she loves to chew, especially wires, but she is the perfect dog for me. She helps me in so many ways. I’ve got a border pit named Petey. I’ve been training him, with a trainer, as my service dog as well. Once I decided I wanted a service dog I knew I wanted a border pit. I looked everywhere in the US. Then found Petey 3 miles away in a local shelter. Haven’t been apart since! Best dog I’ve ever had. Thanks for the info! I found it to be spot on! My Border Pit mix, that we adopted from a shelter, is very timid, she is one yrs. old and although very loveable but always very afraid. Is their anyway to boost her confidence??? I adopted my dog 5 years ago. She was terrified of EVERYTHING and a neurotic ness but with time, patience and lots of tender, loving care she is now a very confident, happy and well adjusted AMAZING dog. My dog is a rescue also and she was the same age and terrified of EVERYTHING. However, with time, patience and plenty of tender love and care, she has become a happy, confident, well adjusted dog. She is 6 and I would say it took maybe a year to let her know there was no need to be afraid anymore and get rid of her neuroses. Good lucj! 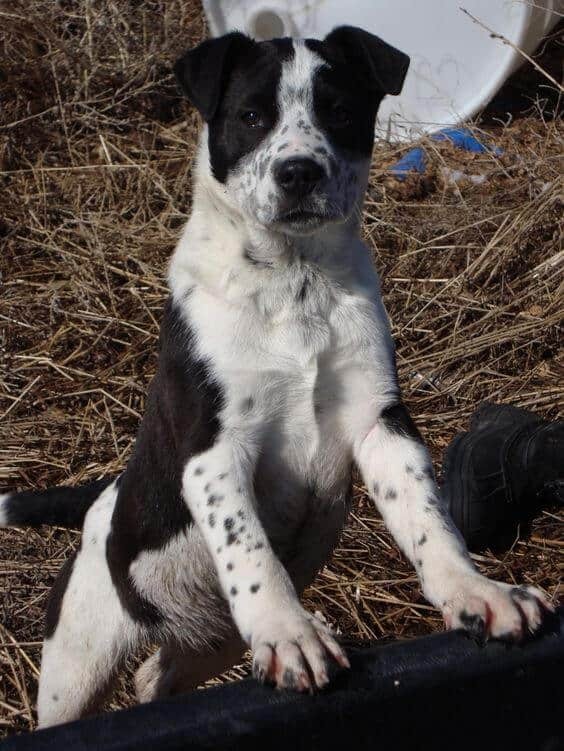 Omg we rescued a puppy and we know the mom was a border collie we have no idea what the dad was we were told lab or blue heeler but the puppy you described is the puppy we have…. Lana has a brownish red tint to her black back though is this normal?? I adopted Jax almost a year ago and it has changed our family for the better. He is such a sweetheart. Extremely affectionate and loyal. He is very sociable but needs refined as he likes to jump on people. You can’t go wrong with this breed. He also is amazing with kids. I have a pitt border mix 10 months old, he is my first dog and is great. So lucky to habe found him at the shelter. My brother in law has a rott/shepard/husky/mutt mix and he got my sister in laws pit/mastiffs dog pregnant, The outcome is the weirdest thing to us. The puppy we chose looks IDENTICAL to the one at the top of the article, with the large black spot on the side included. Our puppy, Odin, will walk up a few stair-steps, turn his head to check you, go again a few more and turn his head and check you. Having worked for a veterinarian way back when, I remember having clients selecting service/therapy puppies that will do that. Am i mistaken?? He is talker already too. He loves to be wide awake between 2-5a and run thru the place just like after a good bath… He is by far the smartest dog I have ever owned–especially at 10 weeks. For instance, he was taught a key word ONE time and after 2 weeks, he has yet to falter. He knew the first time I said “Up” meant the stairs, He sat to put his harness on the second time i ever showed him. (that was 8 weeks old-before that he never seen one or had one on). EVERYTHING that is stated above describes our Odin. My brother in law had NO clue that his 14 yr old Mutt mix (but so loveable old man) had ANY border collie in him. She had snuck out of her living area and into the other part of the house one time. (Caught in the act) and if she ever went out she was leashed, never unattended, or so we were told. So, quick question: possible daddy had border collie also? or Do you think she had a man on the side? Purely by accident I ended up with 3 collie pit mix pups– both parents are registered dogs — I can’t emphasize enough how smart these dogs are. They are all 1 year old now and are BY FAR the most loving dogs I have every had. I have grown up on a cattle ranch so dogs have always been in the picture. The female is a natural cow dog, 1 of the males is a natural bird dog, and the other male is so intelligent he literally learns commands with one session. When they get on each others nerves i can tell them “behave!” And they do. I dont yell at them and i dont hit them, i have been training these dogs entirely different because of the pitbull in them. The 2 males are having a hard time deciding who is going to be the alpha male but i have noticed that it also has to do with my attention. I am reading all I can on this breed but am really loving these dogs!!! They are very energetic and everything you read about the chewing is true, but as long as they get daily exercise they good. I adopted a 8 week old (now 10 weeks) puppy from Second Chance Animal Rescue. I saw the mother she is Border Collie. No idea about father. She is Brindle in color and has fairly long legs. Any ideas?